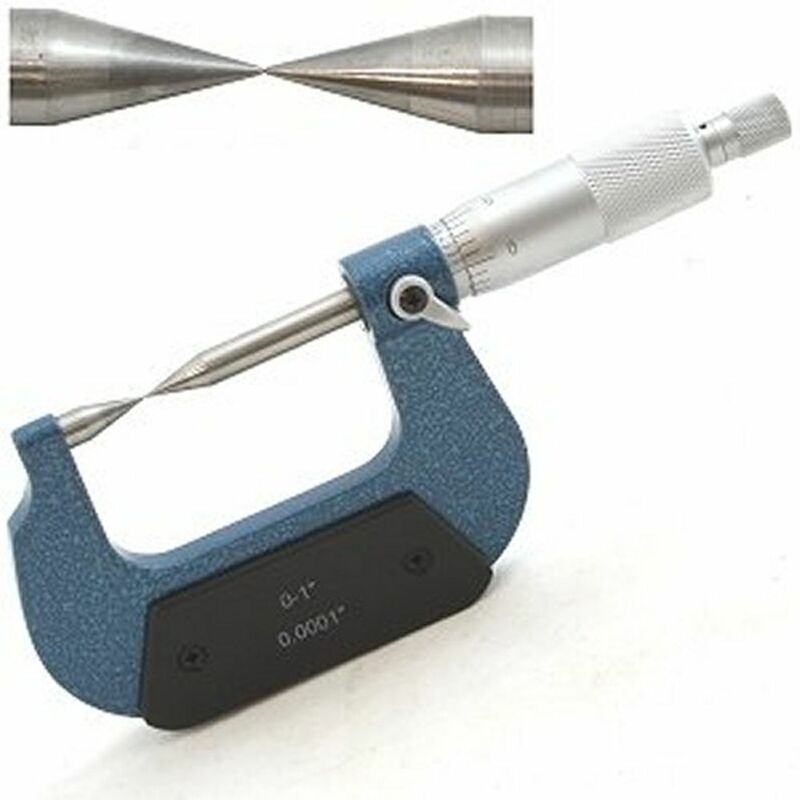 Smooth action with ratchet thimble, crisp markings, rugged enameled frames and carbide tipped points provide convenient usage and long life from these precise (0.0001" accuracy) tools. 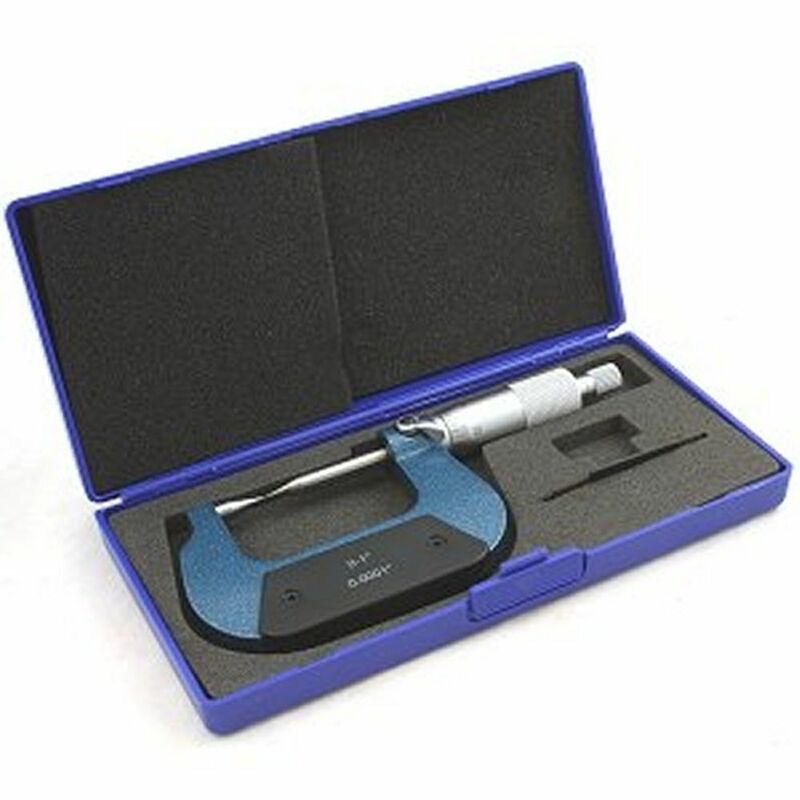 A fitted storage case and calibration wrench are provided. 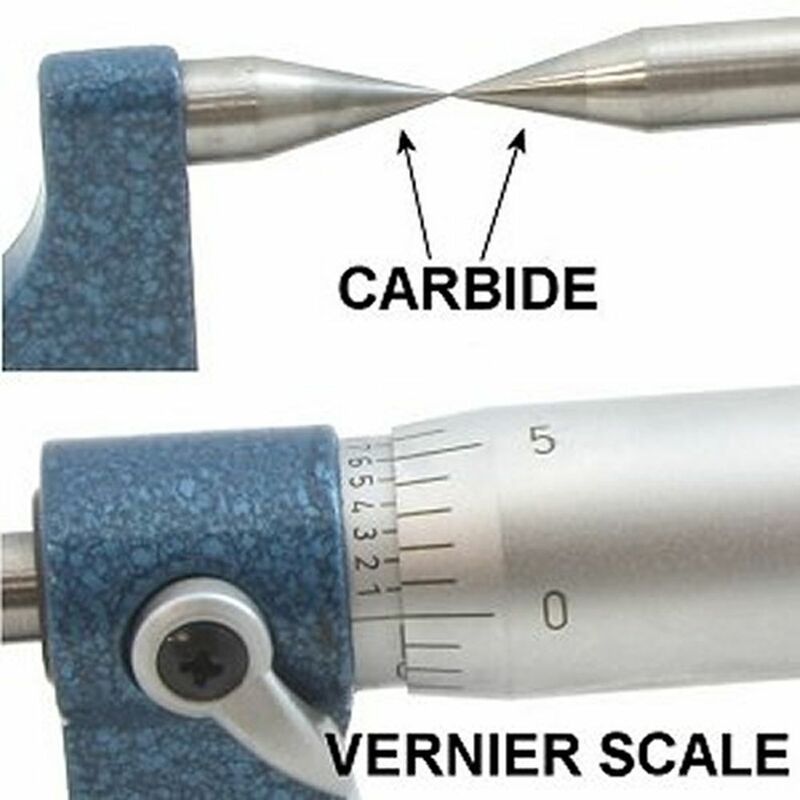 Point micrometer is used for measuring where the standard micrometer spindle could not be accommodated.